Search engine optimization packages in this day and age are must-buys for companies whatever their size or industry. In a nutshell, these packages are quick and easy ways to avail of all the benefits of today’s cutting-edge optimization techniques. The importance of establishing a beachhead online or shoring one up where it already exists is beyond debate. Businesses need to go to where their customers are, and online is where most are headed these days – if they are not already there, that is. The internet is rapidly becoming ubiquitous and many people access it on a wide and growing range of devices. This is hardly a new development and many businesses have already begun to jump on the online bandwagon by availing of search engine optimization packages and/or distinct services; they jostle and clamor to gain the attention of potential customers, with an eye to winning their business as well. 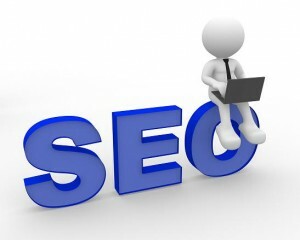 Only a perfectly conceptualized and executed SEO regimen can help any business prosper in such a dynamic environment. Now a little bit more on said packages themselves. One may indeed wonder why acquiring one such package from SEO experts would be better than availing of individual services from separate providers. For one, going with consultants who offer such packages is far more convenient, simply because overseeing separate service providers can be quite a headache and can also incur significant costs. Additionally, however, SEO packages by definition are integrated sets of services including keyword optimization, website design and so on, into which only the services a business needs have been incorporated upon prior discussion and agreement with the service provider. Of course this means that an availing business only pays for what it needs, but such integration can also confer significant benefits of its own in terms of cost efficiency and rapid response. Such a set of services can easily be adjusted “on the go”, making mid-course corrections easy and quick. In the event that any SEO campaign needs adjustment, said campaign can be tweaked and experimented with while still running, which may be able to help minimize profit and business loss. Moreover, integrated packages are also scalable: they can thus be modified as a whole per clients’ needs to help enhance future growth or compensate for downsizing. Compare and contrast this with individual SEO services; modifying each as needed and, most especially, ensuring that such adjustments are harmonious may very well be no less than a nightmare for any company, whether big or small. The bottom line is that while availing of search engine optimization services is vital for business success nowadays, it is also crucial to ensure that the costs of doing so do not outweigh the advantages. Picking one single provider of SEO packages can make everything significantly less complicated versus going with different providers offering different services – most especially if the execution of said services needs to be stepped up or down depending on client requirements and/or future company growth and other such conditions. Moreover, doing so also redounds to cost efficiency – a business can specify which particular services it requires at the outset to ensure that it does not pay for services it does not require – and can also help businesses reap the benefits of well-integrated SEO services.